Figs can be perfectly ripe when you pick them from the tree, then just a few days later they are notably far less appealing. With an extensive history of cultivation and consumption, fig trees provide us with fruit that is often preserved in order to extend its revered but fleeting qualities of flavor and texture. Although a fruit, figs also display a borderline pH value for preserving as an acid food. Most fruits are clearly acid foods, with a pH below 4.6. (Vegetables, by the way, tend to be low acid foods, with pH values above 4.6.) Just a few fruits, figs among them, naturally range in pH right around 4.6, making them a borderline acid/low acid food since the pH can go above 4.6. Therefore, to be safely processed in a boiling water canner, some acid needs to be added to figs to keep them safe from botulism risk. You will see in the recommendations below that lemon juice or citric acid must be added, in the amounts called for, to home-canned fig products. These acidification levels were determined through research. Fig Preserves is the recipe to use if you want to keep the plump fruits whole. This is a traditional southern-style whole fruit preserves, not a spread like jam. Fig Jam without added pectin directs you to chop the figs, and contains less sugar and less lemon juice than its crushed-fruit, pectin-added counterpart, Fig Jam with liquid pectin. If you’re willing to mix fruit flavors, then you might like to try Strawberry-Fig Preserves, which uses gelatin to help obtain a gel. Another option for canning is to make Fig Pickles! You may also choose to Freeze your figs. Unlike when canning, acid does not need to be added to figs in order to safely freeze them. However, it is suggested that lemon juice or ascorbic acid is added for the purpose of preventing discoloration and maintaining the highest quality of the figs. Figs are excellent fruits for drying. 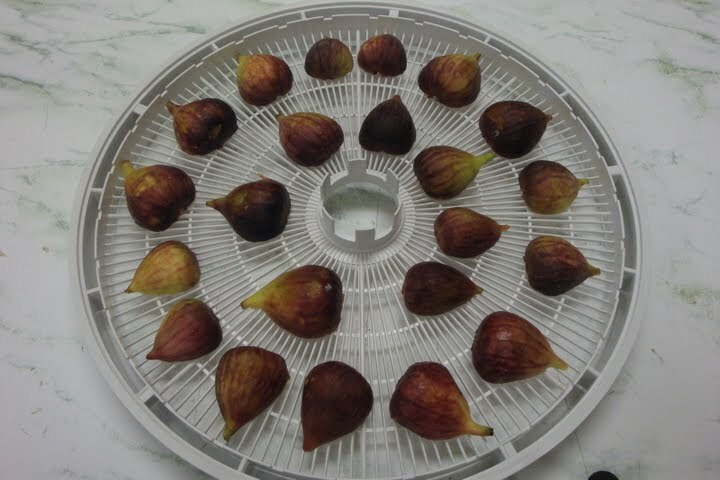 To dehydrate figs, select fully ripe fruit and wash or clean the whole fruit with a damp cloth. Leave small fruit whole, and cut larger fruit in half. 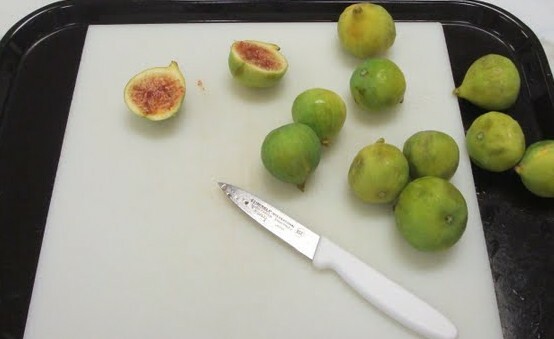 You should pretreat figs to be left whole by “checking” them. Dip them in boiling water for 30 seconds or until skins split, then plunge them in ice water to stop further cooking. Be sure to drain them well on paper towels before loading them onto dehydrator trays and drying them for 6 to 12 hours. 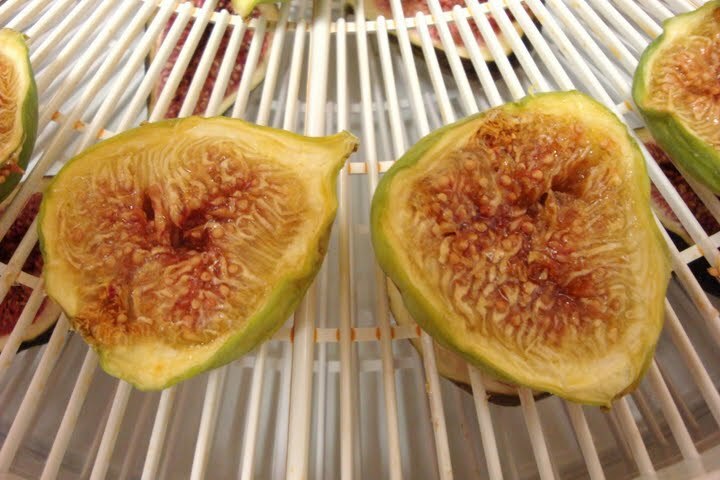 The moisture inside the figs needs an escape route for drying out before intact skins would get too tough and dry. To learn more about dehydrating, please read Preserving Food: Drying Fruits and Vegetables. This entry was posted in Canning, Drying, Freezing, Jams and Jellies, Pickling, Recipes, Seasonal Food Tips and tagged dried figs, fig jam, fig pickles, fig preserves, figs, frozen figs on October 8, 2013 by nchfp.